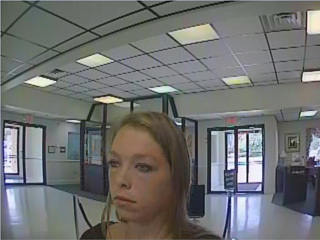 The Bedford County Sheriff’s Office is investigating a forgery and uttering that recently occurred. During the course of the investigation it was discovered that the same female suspect is responsible for similar crimes in Waynesboro, Chesterfield, and the Town of Bedford. 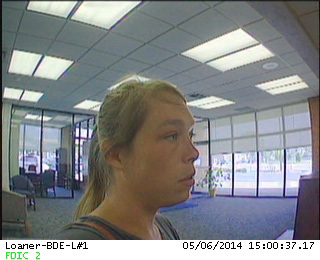 These crimes with this suspect have been occurring since June 2014. The suspect appears to be intercepting legitimate business, in this case, Forest Foot and Ankle, checks from the mail and in one case, a private drop box. The suspect then alters the check to reflect a fake name. She then takes the checks to a bank and cashes them. Anyone with information is asked to contact the Bedford County Sheriff’s Office at 540-586-7827, submit a web crime tip, or call Central Virginia Crime Stoppers at 1-888-798-5900. Crime Stoppers callers remain anonymous and could receive a cash reward to up $1,000 for information that solves the crime.